Made by Me Sewing Studio Ltd. » Thank You! I often say that I am a “one-woman” show. And while I am definitely the sole owner and operator of this business and am here six days a week teaching and running the studio, I am not entirely on my own. For several months now I have had help from a fantastic group of girls from Handsworth Secondary. 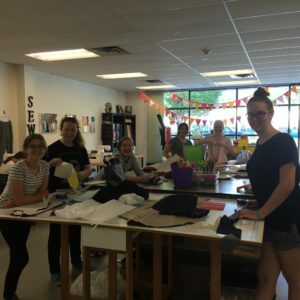 Destiny, Caitlin, Alexa and Sarah have all volunteered their time to come in and help with my after school program, summer camps, Pro D Day workshops and birthday parties. 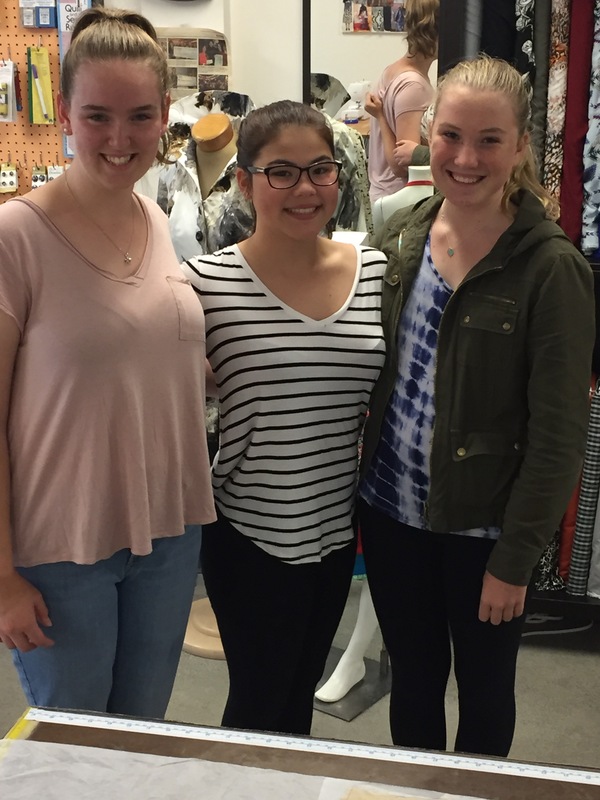 Destiny, Caitlin and Alexa are in grade 9 and enjoy sewing. 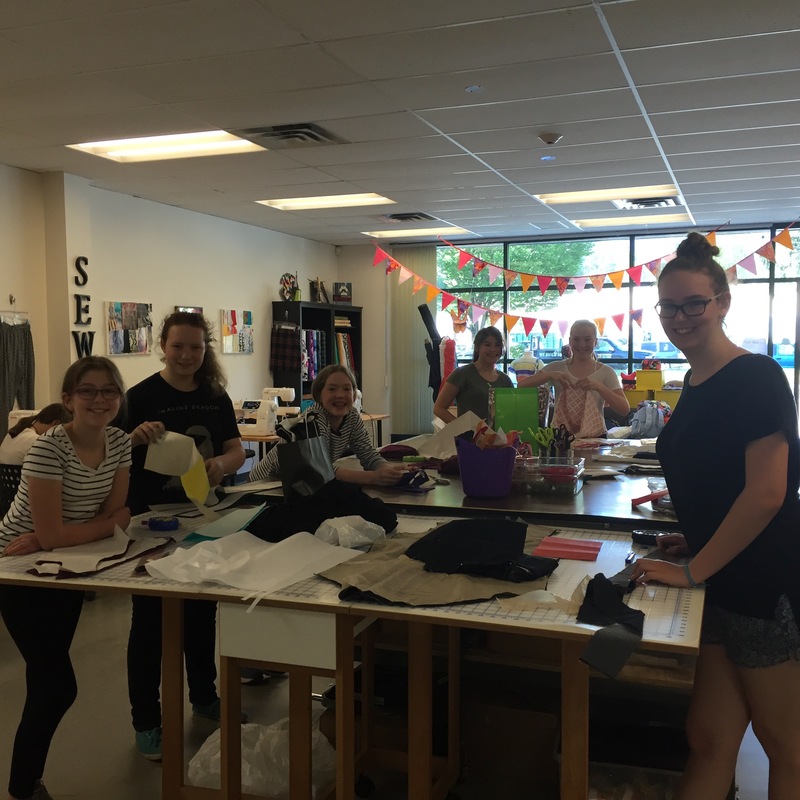 They have been taking lessons with me since I opened my studio in February 2015. They are very accomplished sewers now! Sarah is in grade 12 and has studied textiles at Handsworth throughout her time there. She has completed some very difficult projects and is now working on a leather bomber jacket! These lovely young ladies are kind, patient and fun to be around. My students enjoy their company and look forward to seeing them. They are the reason that I can allow my students to explore their creativity and pick their own projects rather than following a set curriculum where every student works on the same thing. I am so fortunate to have their help and I look forward to seeing them each week. 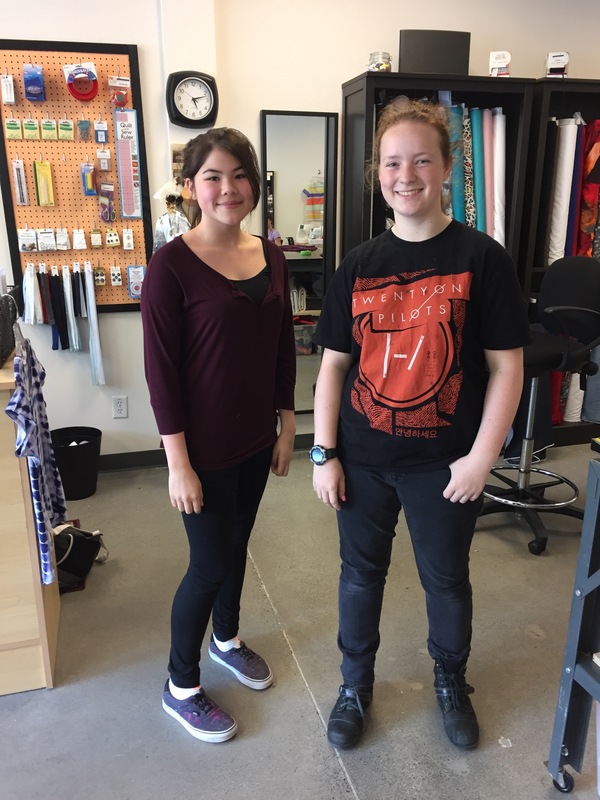 They are all very busy with homework and extra-curricular activities but they still find time to come to the studio and help me out. Sarah is now working here as a part-time employee and I am hoping to hire Destiny, Caitlin and Alexa as employees too. Thank you ladies! I couldn’t do it without you!